I am an independent candidate, in the sense that I am not part of an ACT registered group. But as was just stated when Christopher introduced me, I am a member and endorsed candidate of the Australian Democrats and I speak to you today both as an individual (the candidate) and as a member of that nationally registered organisation. For 35 years the Australian Democrats have had enshrined in our constitution that “we accept the challenges of the predicament of humanity on the planet with its exponentially increasing population, disappearing finite resources and accelerating deterioration of the environment”. I am great believer in our established position of the triple-bottom-line: responsible economic management, care for the environment and social justice. Increasing numbers of Australians are recognising the importance of reining in population growth. The Public Health Association of Australia has adopted a population policy based on health, nutrition and environmental constraints, encouraging Federal and State governments to adopt policies that will lead to population numbers being held at sustainable levels. In 2010, the Public Affairs Commission of the Synod of the Anglican Church of Australia issued a discussion paper which argued that “Unless we take account of the needs of future life on Earth, there is a case that we break the eighth commandment – ‘Thou shalt not steal’.” As a consequence, at their General Synod meeting in 2010, a “Caring for Creation: the need to acknowledge and respond to population issues” motion was carried. And yet, despite the calls from these groups and other reputable studies, governments still ignore the warnings. Australia faces serious environmental degradation as a consequence of increasing human population and urgent action must be taken to curb this. 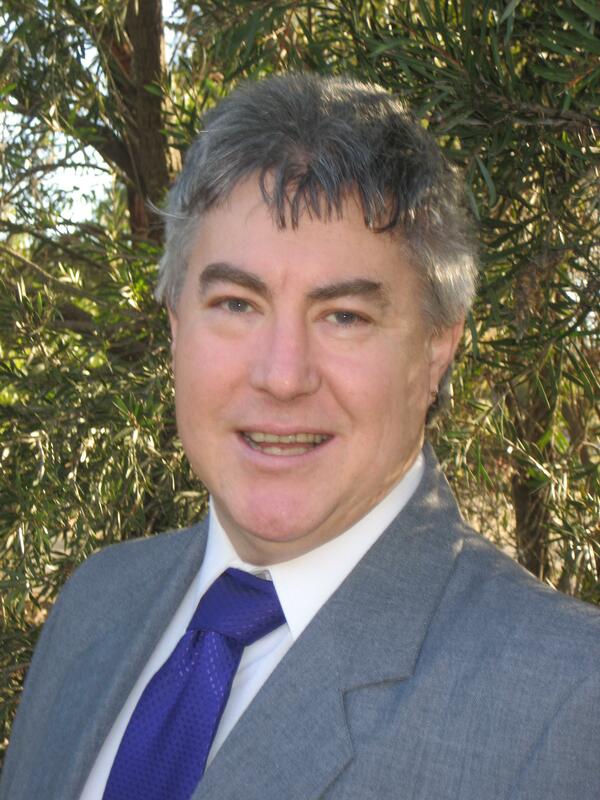 The ACT Democrats believe the ACT region does not have the resources, such as water, to grow indefinitely. The argument that population growth can be sustained merely by having better urban planning is flawed. Despite developers arguing for population increase and benefitting their own hip pockets as a consequence, taxpayers bear the cost of destruction of our unique natural environment, reduced housing supply and shortages of infrastructure. Australia must consider the environmental limits – low rainfall, increasing temperatures due to climate change, and infertile soils – when determining the right number of people this land can support. And we in the ACT must play our part in managing that. I believe Canberra’s planning should retain green belts between town centres, and promote transport efficiency and vibrant commercial centres. We need a planning authority that people have confidence in. For Planning, I seek to involve communities in the planning process’ work towards development that leads to a sustainable Canberra; and make planning decisions independent and transparent. I propose setting up a consultative body to collect scientific and community views so that future governments can plan to stay within our sustainable environmental limits. Whilst there might be some argument for regional areas such as the ACT being used to take population pressure off the sprawling metropolises, with incentives to encourage immigrants and refugees to settle in regional areas (but not where there are no job prospects); it will not work in any lasting sense without a co-ordinated national population strategy to limit overall population growth. It makes no sense to simply move people around, if overall the population continues to increase unsustainably. As a Democrat, I argue for an increase in the nation’s humanitarian intake balanced by a scaling back of the immigration intake to environmentally sustainable levels. Our party’s Immigration Policy argues for “a non-discriminatory immigration program, which gives priority to refugees and family reunion, the total number of which when included with overall population trends will not impede sustainability of the nation’s natural resources”. Australia cannot solve the world’s refugee problems, but by reducing overall immigration numbers we would be in a much better position to meet our humanitarian obligations for what is really a small number of asylum seekers. Environmental and well-being problems become harder to solve as population grows. Whoever forms government must create a Sustainable Population portfolio. To assist the Minister, public and environmental expert input must be sought through a population advisory panel to determine the upper limit to Canberra’s population growth and how best to deal with it. This will involve real long term investment in social, environmental and economic infrastructure including ecologically sustainable urban and water planning, renewable energy, better public transport, health services and regional development. And as part of a regional approach we must also consider how we manage regional transport, food production and security, water and prepare for the impending problems of peak oil, peak phosphate and energy security. If elected, I will introduce legislation to ensure that these matters are dealt with. A growing population puts more pressure on us to find new ways of ‘keeping up’ with material demands that are one of the highest per capita in the world. And we must work at our local and regional level as part of an overall strategy to first stabilise then reduce Australia’s population to an ecologically sustainable level. I have already mentioned the humanitarian/immigration balance. The ACT must also play our part in a national strategy to support families in making decisions about family size so that additional stresses are not placed on our unique environment, long-term agricultural productivity or infrastructure. This involves expanding programmes that make all family planning options cheaper and more accessible to anyone who may choose them; and putting limits on baby bonus/family leave provisions and diverting resources to education, family planning and foreign aid. Population growth does not necessarily create wealth, despite the claims of the development lobby, and it certainly does not improve national well-being. How we manage population will require appropriate planning, proper consultation and a whole of government approach. We can no longer ignore the environmental implications of continued population growth. Nor can we allow the Assembly, and through it the Territory, to be captive to the development lobby. I know the big end of town won’t like this approach, but the challenge of population is simply too important to ignore. 28th January 2012: Speech: Reclaim the Centre! A speech by Darren Churchill, National President of the Australian Democrats, addressing the party’s National Conference in Melbourne,28 January 2012. Thank you to our acting Secretary Roger Howe, and welcome everyone to the 2012 Australian Democrats’ National Conference. I’d like to acknowledge the traditional owners of the land, on which we meet, the Wurundjeri people of the Kulin Nation. We gather here only two days after the celebrations known officially as Australia Day. However, for many Indigenous people, that day marks over two centuries of hurt and injustice. I look forward to the day when we can all share in a time of true reconciliation. Thank you to all members and delegates who are here at our National Conference. This is our first conference for some years and the first without having Senators or other members of parliament. However, this conference marks our entry into our 35th year as a political party. So, let’s use it to re-energise, and commence the road back into the hearts and minds of the Australian voters. I thank our Conference organiser, Young Australian Democrats President Mark Carey, for the work he has done in putting this years’ conference together. Thanks also to our Secretary and Treasurer for the assistance they have provided to him. I also extend particular thanks and a special welcome to our speakers and presenters. It is especially wonderful to have three former parliamentary leaders in our number; former Senators Lyn Allison and Brian Greig, and former South Australian MLC, Sandra Kanck. The next Federal election must be held by 30th November 2013. So, barring any occurrences such as an early House of Representatives election or a Double Dissolution (for which a “trigger” seems at the moment unlikely), we can expect the 2013 election to be anytime after 3rd August next year. That means we must start preparing now. Already, we have commenced a programme to be by-election ready. That means having in each Division, a number of potential candidates endorsed, who can slot in to any of a number of electorates for which they are prepared. So, should a by-election be called (and I expect the Labor Party has already warned it’s MPs: “Don’t resign, defect of die!”); but should one be called we can be off the blocks and racing in no time. Whilst, we have only even come close to winning a House of Representatives seat on three occasions in our history; the idea is that if we can achieve a result that shows a significant percentage of the vote, it will be something we can use to build a profile again. So, we need to be clear in what we are trying to say to the public, as a party. What is our corporate image? It is important that we determine how we sell ourselves to the public. So, who are we? What do we stand for? How are we of use? How do we convey that message? What are our campaigns? Who are our spokespeople? Then….how do we market this? Branding? Colours? Logo? Website? What ideals should they portray? How do they sell our public image? What content should be on our website? What could be done differently? Better? How? How do our candidates and members leverage of this information to engage their communities ? What do the Australian Democrats stand for? How do we pursue the future and be true to our history? How do we regain relevance with the Australian people? How do we interact with the community? Campaigns? Interest groups? Membership of community organisations? (such as the parents associations of school communities, ACOSS, Vegetarian Societies, Animal groups, gay groups, women’s groups, Civil Liberties groups, foreign aid groups, peace groups, Sustainable Population groups, environmental lobbyists, unions, business groups, congregations, service groups, JayCees?). How do we become activists again? We need strategies, plans, implementation, and real action. Using the procedures, processes and guidelines laid down in our party’s Constitution and documents, and using those democratic processes to re-engage the members, the community and the people to support us. These are just some ideas. There is probably a lot more that could be said here. But surely that could get us started and in the right direction? So, what steps have we taken to address these issues? Much of our politics is about social justice and about creating a framework, whereby the poor, the marginalised, the oppressed, are provided with the opportunities to share in society’s prosperity, to participate in society. It is, as such, the role of government to ensure that there is a safety net to protect those who slip through the cracks of our economic and social structures. In order to create a fair, democratic and liberal society, we must first write ourselves back into the picture. We can’t do much from outside the parliaments, so we need to get people elected. We need to play to our strengths. To do that, we need to focus on the issues the other parties won’t touch; issues where we have members with the time, talents and resources. We can extend into the more mainstream areas as our size, influence and talent-pool grows (and hopefully with that our parliamentary representation). In November, we re-launched our popular National Youth Poll, to re-engage with young people who are likely to become voters in the next few years. According to Youth Poll co-ordinator, Tim Neal, we have already had well over 5000 responses. We understand Australia’s need to reduce our water and energy consumption – and to do so significantly. This will require a massive rethink in the way we live every aspect of our lives. An economic system, which relies on constantly increasing production and constantly increasing consumption, will eventually get to the point where the bubble will well and truly burst. · Increasing our foreign aid budget and ensuring more money and effort is directed towards women in developing countries for sexual and reproductive health, including contraception. There are more campaigns being currently planned. We have unfinished business with Peak Oil. So, building on the work started by Sandra Kanck’s Select Committee on the Impact of Peak Oil on South Australia, just over three years ago; we are currently preparing our campaign on Peak Oil, to be launched early in February. Some products, had we known then of the risks we now know are associated with them, would never have been allowed onto the market. Tobacco, asbestos, uranium and alcohol are but a few. Scientific, medical and empirical evidence suggests that so-called “Energy Drinks” may be another. So a campaign to investigate the extent and warn of the dangers of such drinks is also currently under consideration. Our work in making submissions to parliamentary committees and inquiries is also important. In 2011, we made three submissions. These were: “Funding of Political Parties and Election Campaigns,” “Development of a National Food Plan,” and “The Implementation of a Needle and Syringe Program in the Alexander Maconochie Centre in the ACT.” As a result of the first of those submissions, in August last year, we were invited to send a delegation to address the Joint Standing Committee on Electoral Matters. I understand this is the first time the Australian Democrats were invited to such a Committee since we had Senators. Quite an honour, considering the passion former Senator Andrew Murray had for that particular Committee. At a policy level, the proposal to alter Clause 17 of our Energy Policy was recently balloted. I was delighted when members overwhelmingly voted to strengthen our opposition to nuclear energy including uranium mining. To even greater delight, only a week after the ballot was declared, an article by Russell Emmerson in Adelaide’s “The Advertiser” newspaper, reinforced the good sense of the decision. We have also recently balloted our first “Alcohol and Other Drugs Law Reform Policy.” Again, a high voter turnout and strong endorsement of the proposals was encouraging. It was also encouraging and extremely refreshing to hear Sir Richard Branson tell a committee of British MPs earlier this week, that the tough, “War on Drugs” approach has failed and that a more scientific, evidence-based, and public health approach is needed. It is up to us now to continue to push for such an approach in Australia. Other new policies will be presented for your consideration in the upcoming National Journals, including proposed policies for Oceans and Coasts, Invasive Species… and our first proposal for a Population Policy, for some years. These have already been circulated and available for discussion for some time. We have started to revamp the National Journal. I have to say that the two editions put together by our new Journal Editor Drew Simmons and his team have been on a very high quality. I am also delighted that the December edition saw a return to a tangible, hard-copy National Journal, the first in three years; and the first in colour for some time longer. The ‘soapbox’ section entitled “What I Reckon” has proven very popular, as have the Guest Editorials from our former parliamentarians. It is my understanding that there are still more improvements to come. Improvements to the National Journal are just part of how we improve our communication and engagement of members. National Communications Committee are currently working on ways to restart our e-Bulletins. We are also working on improvements to the website and the eventual transition to a new website which better suits our needs. And we haven’t overlooked the 21st Century technologies of Social Networking. We now use this as one of our tools, carefully managed by our Social Media guru, Hayden Ostrom Brown. Another thing your National Executive will be working on between now and the Federal Election, is restocking the war-chest. This will begin with soliciting donations from people and groups who support our policies and campaigns. It will also involve building new corporate partnerships with those who share our objectives. The person who spoke those words was, as we all know Don Chipp, in his famous, resignation from the Liberal Party speech. In the past few years we have seen exactly how vested interests do unduly influence other political parties. The heavy polluting industries; the mining lobby; the racist, xenophobic shock jocks; the tobacco companies; the live export industry; the gambling industry; the developers who urge a ‘big Australia;’ to name but a few. New radicals, such as the Occupy movement, speak of the words “participatory democracy” and the concept of a “fair go,” as if the ideas no longer exist (or perhaps even never did). However, these are main stream ideas and are the life-blood of Australian Democrats policy, campaigning action and parliamentary change for 35 years. So, how do we re-engage with the public? It involves getting out and involving ourselves with the type of community groups I mentioned earlier. It means interacting and talking to the person in the street, the pub, at church or mosque, in the workplace; being active in the community and practising grass-roots community politics. On at least one, but I’m pretty sure two occasions, our British counterparts [then known as the Liberal Party (UK)] were reduced to six members in the House of Commons. They regrouped and merged with the Social Democrats (to become the Liberal Democrats) and got on with the hard work of the engaging the principles and practice of community politics. The new party now shares power in a coalition government. We too are a party born of a merger. The fact that the Australia Party and the New LM had the foresight to realise the only way forward was to merge, enabled the Australian Democrats to enjoy 31 years in parliament and around 24 years as a significant player in Australian politics. As a party born of a merger, we must not be afraid to once again consider a merger, should a sensible and reasonable partner with similar principles present itself. Continual improvement and growth fights off stagnation and death. Early this century, the Australian public fell out of love with us. Now, they barely know we even exist. Is the love affair over for good? Or can we reinvent ourselves in a meaningful way which makes the public say “Yes, that’s what I used to love about them. That’s what I miss!”? We need to take whatever steps we can to woo the voters back to us, and make ourselves relevant to them again. In time, as they recognise us again, they may love us again – and who knows, even vote for us. So, I suppose, under the radar or keeping a low profile. This has for the last few years made me think of how people ask about the Australian Democrats. “Aren’t they dead?” or “I thought they’d disappeared.” etc, etc. The truth is, we too have been lying in the long grass. The public don’t know we are around, when they don’t see us doing things. The time has come for us to stand up, get out of the long grass and become a visible presence again. We can do it. We must do it. The current disillusionment with the other parties indicates that there is an opportunity for an alternative voice. Australians deserve better than what we are getting from the current parliamentary parties. Labor has betrayed most of it’s left-wing and the old jokes are already resurfacing about ALP standing for Another Liberal Party. The Liberals are so ultra-conservative with their singular policy of “No, No, NO!” that even Malcolm Fraser has resigned. And the Greens just don’t get it. They seem to fail to understand the committee system and their all-or-nothing approach just doesn’t sit well with many people. The crossbench was a better pace when we occupied it. it can be again. We know that it’s better to get 80 or 90 per cent of something than 100 per cent of nothing! We can be the better alternative that is so desperately needed, restoring as Don Chipp described it “a balance of reason” to the crossbench. The gap is there. Its’ up to each and every one of us to convince the Australian voters that the gap is Australian Democrat shaped and that we are once again worthy of filling it and that we can Reclaim the Centre! I have a long history of supporting and advocating for drug law reform (as does my party). As a bit of background, you might like to know what started my interest in drug law reform. Initially, it was school debates on legalisation of marijuana and heroin. I found the arguments fascinating. Then as a university student in the 1980s, I joined the National Organisation for the Reform of Marijuana Laws (NORML). The co-patrons of NORML were two of my heroes: Don Chipp (the first leader of the political party which I now represent) and Sir John Gorton (former Australia Party and Liberal Movement backed, independent Senate candidate for the ACT). If you haven’t picked up the connection there, I’m just pointing out that the progressive centre has always had a keen interest in drug law reform – a position which I now inherit as the current Australian Democrats candidate. In the 1990s, I was a strong supporter of the proposed Heroin Trial and a safe-injecting room in the ACT. And this is a position, which my party has strongly advocated in ACT elections. More recently, I have been quite outspoken about the idea that Random Roadside Drug Testing laws must be based on scientifically established driver impairment levels. Reducing the level of damage inflicted by illicit drugs lies at the heart of the Australian Democrats drug policies. The users of drugs are our sons and daughters, our brothers and sisters and our friends. They are not another species of human beings that deserve to be marginalised. Drug abuse costs the community dearly. It touches not only the families who suffer from a loved one’s addiction, but all of us who pay the price for increased burglary to gain funds for drugs, and the cost of legal services and prison for those convicted. The simplistic prohibitionist approach to illicit drug use has proved no more successful than prohibition of alcohol in the United States during the 1930s. Just as prohibition spawned a powerful criminal underworld, the ‘war on drugs’ is furnishing drug warlords with massive profits. Those profits are being used to corrupt both police and customs officials. If these drugs are so dangerous, why do we leave the Mr Bigs in charge of them? The Australian Democrats understand that zero tolerance does not work and only ends up costing the community money and lives, and keeps drug prices artificially higher, which provides greater incentive for more drug-related crime. The criminalisation of drug abuse imposes a significant cost on the community and does very little to reduce drug use. It often means unnecessary exposure to the criminal justice system, and places drug users in a prison environment that may actually make their drug habit worse. There is much evidence to suggest that burglary is most often drug related. In the ACT, the Democrats have called for increased research and support into alternative forms of punishment and rehabilitation for drug-related offences, such as a specialised drug court. Prohibitionist and ‘tough on drugs’ approaches to illicit drugs are not working. Our lawmakers have repeatedly failed to base their decisions on the available scientific information about drugs. Drug and alcohol issues are more appropriately dealt with as health rather than criminal matters. Nor is the ‘just say no’ approach to educating young people about the dangers of drugs effective. Where the message is heard at all it is often perceived as paternalist and hypocritical. The Australian Democrats believe that effective education and realistic policies are the key to reducing all forms of drug use. Many young people are impervious to the antidrug message when delivered by the ‘authorities’. We need much better information about what young people really think about drugs. That knowledge can then be used to develop more effective peer group education programs. Until we strike the right balance, the war on drugs will continue to be a war upon ourselves. That balance falls between effective education and the judicious use of the criminal law. This is to ensure that financial resources, and police and court time, are not wasted on the unnecessary prosecution and imprisonment of drug users and addicts; the focus instead should be on getting addicts the treatment they need. Police should concentrate their efforts on organised drug pushers and gangs. We believe that drugs policy should always be based on independent scientific advice, which includes advisory bodies on the misuse of drugs being completely independent of government. The vast majority of drug-related harm in Australia comes from the legal drugs, alcohol and tobacco. With alcohol proving to be one of the most dangerous drugs being regularly consumed in our society, lifestyle advertising of alcohol must be curtailed so as to allow information only about brand, variety, price and sale points. The Australian Democrats support trials of cannabis, ecstasy and heroin for medical purposes. There is good evidence to show that ecstasy might be useful in the treatment of Post-traumatic Stress Disorder; and heroin is still used in some overseas hospital systems to alleviate pain. I advocate decriminalisation of the possession and use of cannabis with a nationwide expiation system for personal use of marijuana. Turning otherwise law-abiding people into criminals for the personal use of marijuana would be foolish and counterproductive. A supervised medical trial should also be conducted on the efficacy of cannabis as a pharmaceutical drug. Overseas research has suggested that the medicinal use of cannabis can be useful in alleviating pain of those suffering from cancer and other painful diseases. Consideration should also be given to the idea that a way be found for a tax to be levied on the sale of cannabis. Drug driving testing should extend to doctor-prescribed drugs, many of which are far more dangerous than recreational drugs; once a scientific means of determining a 0.05 BAC equivalent level of impairment can be established. Folks, it could be said that the Australian Democrats have done quite a bit of work on Social Justice. That is true. Right from the beginning, my party was formed on the principles of honesty, tolerance and compassion, with policies based on common sense and fairness. The Australian Democrats have always taken a positive approach to the idea of Social Inclusion by recognising and responding to the diverse needs of all Australians, with particular emphasis on those in greatest need. We continue to do so. Social inclusion is about social cohesion. It is about creating a framework, whereby the poor, the marginalised, the oppressed, are provided with the opportunities to share in society’s prosperity, to participate in society. It is the role of government to ensure that there is a safety net to protect those who slip through the cracks of our economic and social structures. For many Canberrans the real threats to their security come from poverty, unemployment, and a lack of opportunity or poor access to services. I have been asked today to talk about four specific topics and I will focus the bulk of my speech on these areas. The cost of living is a difficult statistic to calculate. People with different lifestyles spend their income on different “baskets” of goods and services. Are you a poor student? Or do you have a family and buying a house? Are you a retiree or a pensioner? Quality of life is a related concept. Some people choose to have a lower income so that they can live somewhere quiet and peaceful and some like the higher income and stress and congestion of city life. Australian Bureau of Statistics figures show that Canberra is the third most expensive capital city to live in, in Australia, behind Sydney and Melbourne. Canberra has the second highest average income. Australia has a lower average cost of living than the USA or UK. But, from a Democrats perspective, what is more important than a single average statistic is the spread from poor to rich. Does our society give everyone a fair chance to get started – to buy a home if you want to? Do we have a decent welfare safety net to catch the disadvantaged? Can we all get a decent feed and medical attention? The Democrats believe that the best way to avoid a cost of living problem is to ensure that everyone has the opportunity for full time employment. The ACT government has a significant role to play in planning for future employment and economic growth and stability. Canberra has never really had a long term plan to achieve this goal, and its something the Democrats have as a priority. Some people claim there is a skills crisis in Australia. I say there is business and industry management failure. Why are their job vacancies that can’t be filled (without cheap migrant labour)? Because either the pay or conditions just aren’t good enough. I don’t believe Australians are too lazy too work, but they are also not stupid enough to work for nothing. Business and Industries with a labour problem need to get their act together and offer decent conditions. One of the major failures in industries where there is a supposed skills shortage is really the inability for workers to get a reliable income. You can’t work and plan for your future if you don’t have a steady income (unless you are on a hundred thousand dollars a year or more). With an ageing workforce and an increase in the expectation that people will cater for their own retirement income through superannuation, the casualisation of the workforce is just increasing the tax burden on those who do have regular incomes. Sustainability has three equally important aspects – economic, environmental and social. Its what we Democrats call the triple bottom line. It’s the core of the way that the Democrats judge good policy, by how policy meets those three criteria. Economic sustainability means we need to develop a broad based and efficient employment base designed around what Canberra is good at. We don’t have minerals or agriculture as an economic base, so we have to have something else – and something other than reliance on being the seat of Australian government. The Democrats support the development of high-tech, information-tech and green jobs. We want the ACT to capitalise on the research base we have in the CSIRO and our Universities to make Canberra a centre of excellence for housing construction processes that are energy efficient, water efficient and carbon neutral. Environmental sustainability means maintaining a high quality of both urban and rural environment. Right now, we have to ensure that the international economic crisis is managed, but it can’t be allowed to overtake the importance of tackling the global warming problem. The Democrats want the ACT to have long term water use and energy plans, to make sure that we can maintain a decent standard of living while maintaining good environmental water flows and minimising our carbon debt. Our transport policy aims to move an increasing percentage of commuters from cars to public transport – buses and light rail – and bicycles. Ideally, we’d like a full 24-hour bus service, seven days a week. But that’s something we have to work our way up to as Canberra grows. We accept that there are circumstances where private transport is still the only way to be flexible, and we need to cater properly for that too. The Democrats have a vision of Canberra with more high-rise, high density living around town centres and transport corridors while maintaining a suburban Bush Capital lifestyle for those who want it, and providing a decent supply of student accommodation and emergency welfare housing. We want to revert to a system of local neighbourhood primary schools to rebuild community cohesiveness and minimise travel. We want much more government funding for health to increase the supply of doctors (and especially bulk billing doctors), to reduce hospital waiting times and to increase community-nursing services for those who find it difficult to travel. This is to a large extent a Federal government issue, but there are things we can do at a local level. Governments have a responsibility to give every Australian a good education, but the Democrats believe that vocational training should mainly be the role of the business or industry that wants specific skills. The Democrats have always opposed plans for commercial funding of educational institutions and believe that even at a tertiary level subject curricula should be designed to give an educational expertise rather than a specific narrow skill set just designed for a specific job. Job skills change as jobs come and go over time – education should be designed to give students the ability to be trained and re-trained as necessary. But, we also believe that individual companies or industries should provide scholarships and apprenticeships to individual students so as to be able to supply their own industry requirements. We are the negotiators, the natural party of the cross-benches, the people who know how to make otherwise bad legislation into better, fairer legislation for all. We work for good outcomes. If laws are to be honest and just, the Assembly and the public must be given ample time to discuss all proposed legislation. We don’t side with either Labor or Liberal. We maintain our independence. It is an obligation on Democrats politicians to vote with their conscience on all issues.